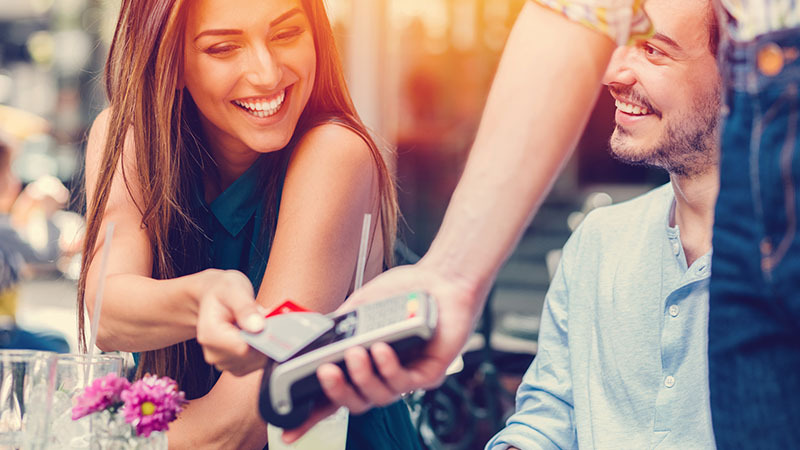 AMS utilizes only the industry's leading PCI compliant electronic processing software programs and authorization service networks to “match” each merchant's needs with the best solutions available. 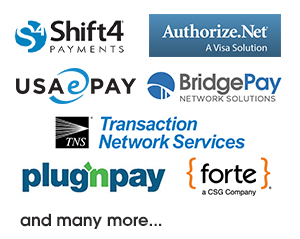 Our complete range of customized and competitively priced turnkey solutions fully meets the needs of government agencies and businesses that accept or want to begin accepting payment cards, such as Visa, Mastercard, Discover, JCB and American Express. Electronic payment processing can dramatically increase the productivity of your staff and decrease the overall cost of your manual payment processing. Virtually any agency or business, regardless of size, can benefit. We understand that it takes a lot of different pieces working together to ensure you stay profitable and protected. Whether you're a local municipality or a brick and mortar business we have business services tailored for you. - The chip on EMV cards is a microprocessor that provides a unique code for each transaction, helping prevent card data from fraudulent reuse. - From the moment a card is dipped or tapped, card data is encrypted, transmitted for processing and replaced with a token — rather than the card number — for the merchant to store. With the power of mobile sales technology and solutions, customers and merchants can now make and accept payments virtually anywhere. 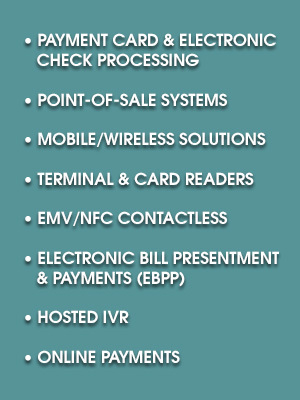 Customers expect flexible payment options that make it convenient for them to pay for your goods and services.